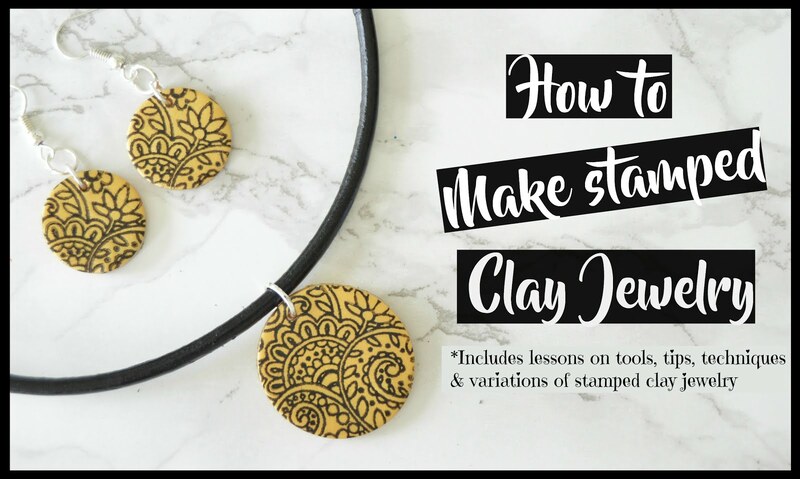 Today I am sharing "My Craft Space" where all the creativity you see here(In my blog) happens.Are you excited as I am ? Let start!! I welcome you all to My craft space tour. Let me first start with the location of my space. I share a part of Master bed room as my craft space where other areas of the room occupies many other random things expect a bed ;) . Yes, we are using guest room as our bed room because this master bedroom takes a lot of time to heat up in the winter as well as to get cold in summer due to some draft in the windows.A lot of other random things include a dressing table ( which I did a makeover recently and will be posting it next), a keyboard , a big old chair , a closet full of household things. Inspite of all these randomness, my husband still calls it as my craft room and I call it as "My craft space" ;) as I don't have a lot of space to put up all my craft supplies. Make sense ,right? 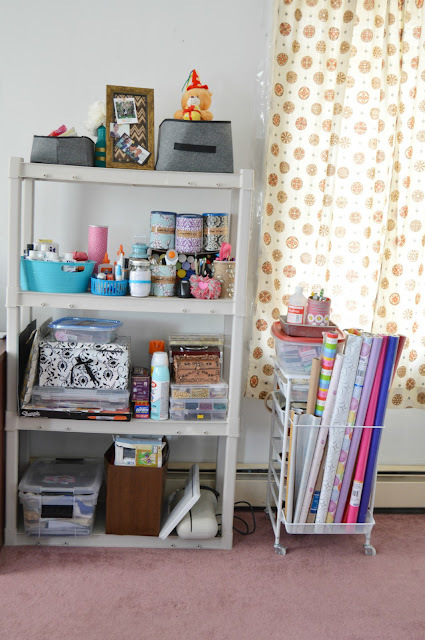 Hoping one day I will get a dream craft space where all my craft supplies has a place. 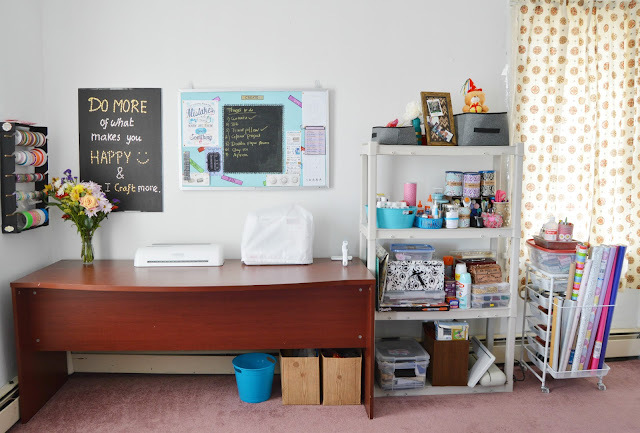 When I started this blog, I had small table and a cart to hold my supplies, and I was using the whole house as my craft space .My husband and I then decided to switch things up . We totally discarded the small glass table and now I am using a "TV" table (I call it like that as it was holding the television before ) as my craft table. You can see that table in the picture below where I am sewing an Apron with my sewing machine on the table. If you are following me here,by this time you would have spotted the things hanging up on the walls around the table. The one on the side is the Ribbon and Tape Organizer ,the main wall has the thumb tack wall art and the corkboard converted inspiration board. 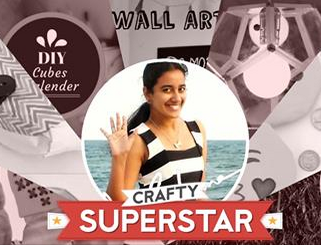 You can see all those DIYs by clicking the links. On the next shelf : I have dyes, glues, paints, sewing supplies, wood burning kits, some pencils, paint brushes, scissors, glue sticks, foam stickers, marbles, pebbles, etc. Not so fancy, right ?? 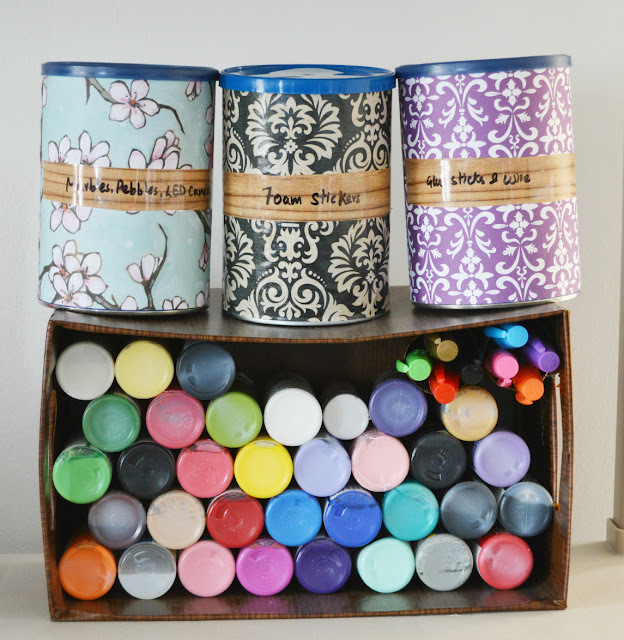 Most of the containers are all DIYs and used contact paper and packing tape for labeling the containers. Why packing tape ? 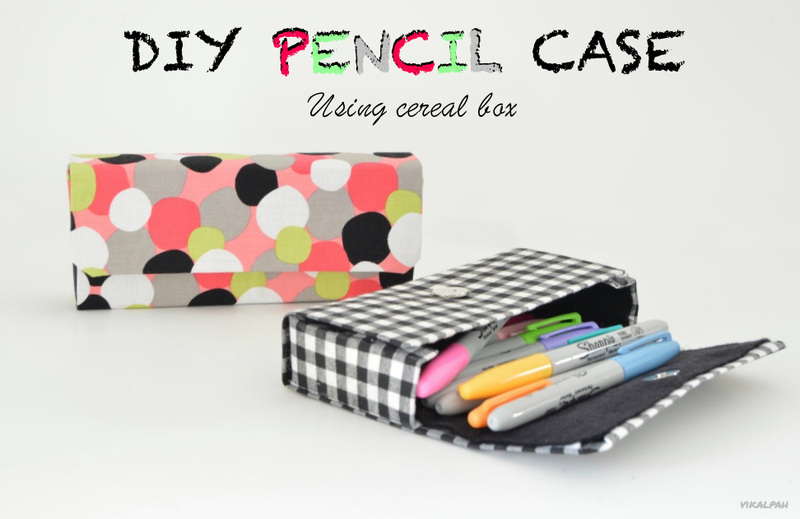 you ask because it acts as a dry erase thing so that if I want to change the contents I can easily do so. 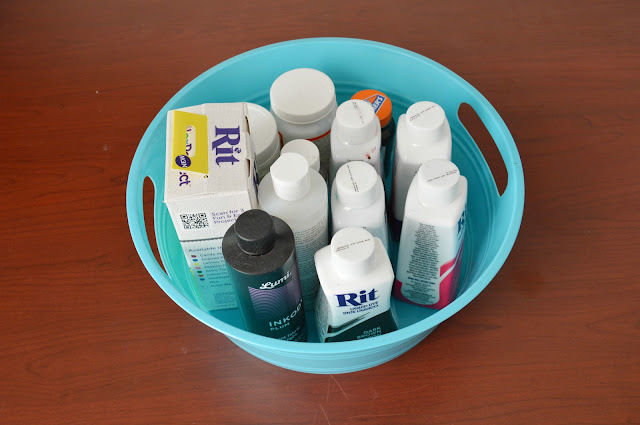 Here is my Rit dye collection along with a bottle of inko dye , mod podge and rubber cement. 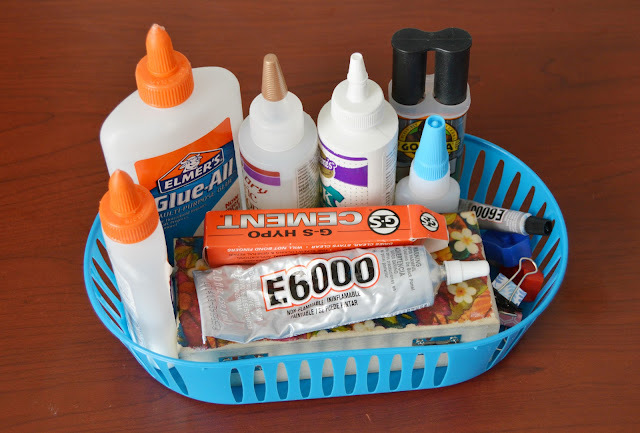 My all glues collection includes : Elmer's white glue , gorilla super glue , gorilla epoxy glue, E6000, G.S.Hypocement, Aleene's fabric glues. If you want to learn more about glues and its uses, click here. My random glass jars collections include my sewing supplies and miscellaneous items. I have all of my paints contained in a DIY basket which you can learn how to make , here. 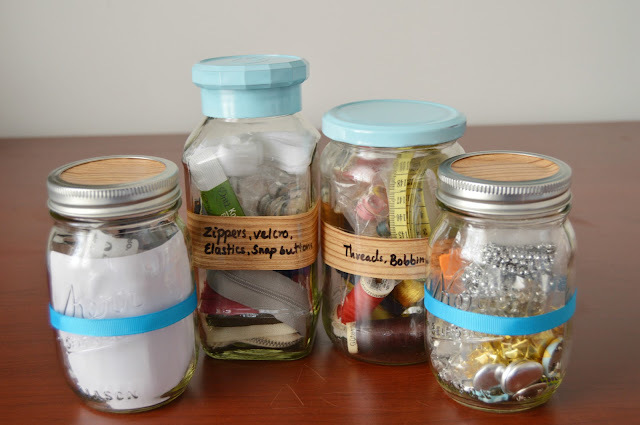 Along with other organizing supplies which you can DIY at almost no cost. Next on to the cart :It has my stamps, stamp pads, sharpie markers, fabric markers, polymer clay supplies, cookie cutters, jewelry making tools ,my sewing machine's manual, wire, pedal, etc. It also has all my wrapping papers and some extra tapes on the sides. 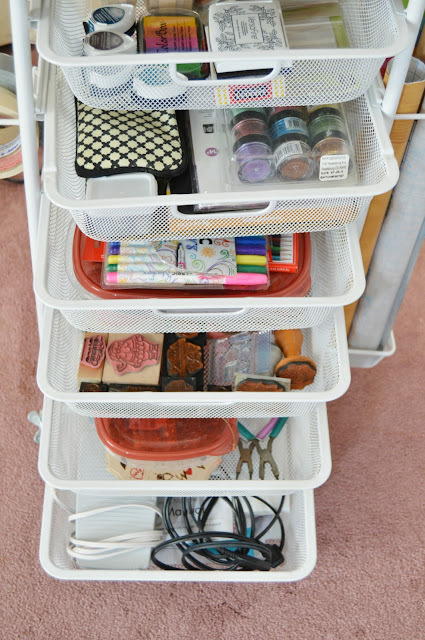 And that is how I have all my craft supplies stored mostly in my very own DIY organizers and also with the help of some plastic boxes and a cart. I am planning on making a catalog for my craft supplies(Have you made any ?) because sometimes I don't remember I have certain product unless I go spend hours digging through my supply stash. You know I said about two DIY baskets before. I have all random supplies like glitter ,pipe cleaners, bamboo skewers, extra masking tape, foam brushes, cork board, poster board ,etc etc. So It is difficult for me sometimes to surely say I already have this particular supply so I can make a craft out of it.Lets see. I will surely share it with you all if I make one. 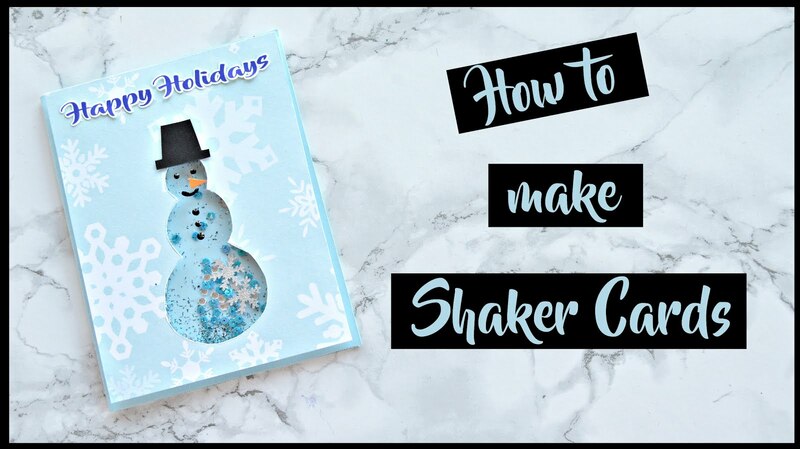 If you have already made one, share it with me in the comments below. One of the best thing which I like about my space is the windows and the light. It is so bright which also brighten my mood and helps to kick my creative brain. That is all about my craft space. Do you have anything that you want to know more about? 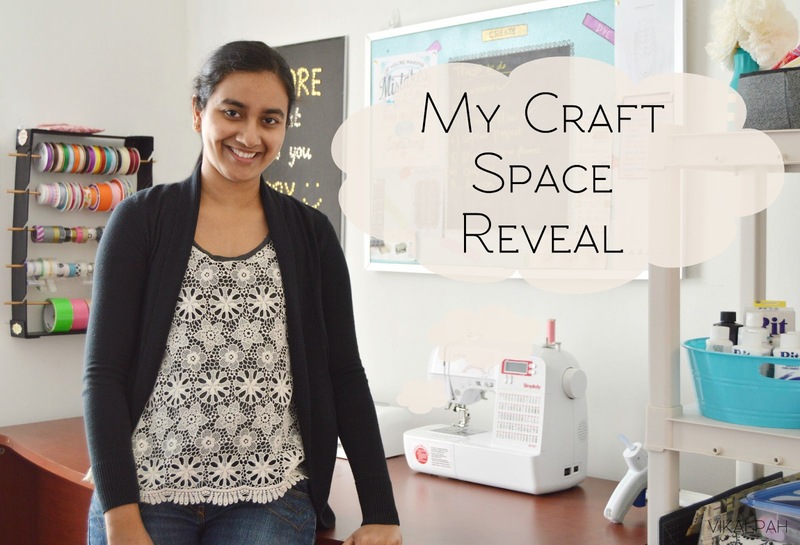 Ask me in the comments.Here is the whole view of craft space.And Thank you for taking the tour along with me! One more thing I would love to share , if you are in need of a space that is surrounded by inspiring people who does inspiring things, then definitely check out WeWork. Wework is a company which offers you beautiful workspaces and a lively environment full of entrepreneurs just like you. You will want to check this out. They are located at various shared office space locations around the world. Great write up Sana..😊😊 I agree the supplies are not well organised yet they look amazing just like your works..😊👌!! It looks so nice and organized. Have a great day. I like your space. for one reason.. you are most fortunate to have a space available *smiles* Good Luck!! Your thumb tack art is fabulous, Sahana and I really like the notice board. 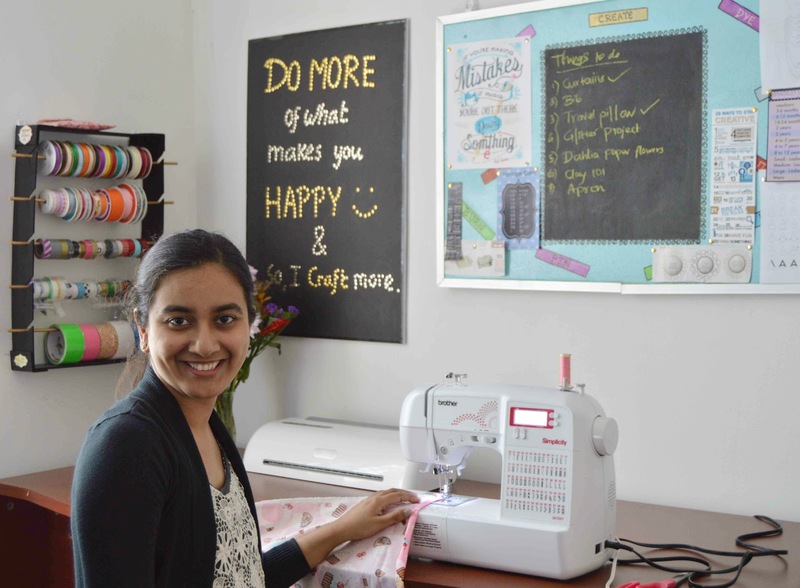 A great crafting space. Your work space looks great, and I am a bit jealous! :) I don't have space for a dedicated place, so all my supplies share space in a closet with other household items. Your space looks awesome! Thanks for sharing at Merry Monday, hope to see you again next week! I like the little cart for storing papers tools and small items. Thanks for sharing on the Oh My Heartsie Girls WW this week!!! Looks like a nice craft space. I like your "do more of what makes you happy" sign. It's been fun co-hosting the #HomeMattersParty with you. September here we come! Very nice space! How do you keep that surface free??? Free surfaces around here are like magnets! Thank you Jane and sonja :) They are not always free. It will be a big mess when some project is in WIP . It looks like a great space and you have it oooh so organized. I love the big tv table that you are using. I am using my large dining room table as a work space since we never use the dining room anymore. Thanks so much for sharing. I love it. 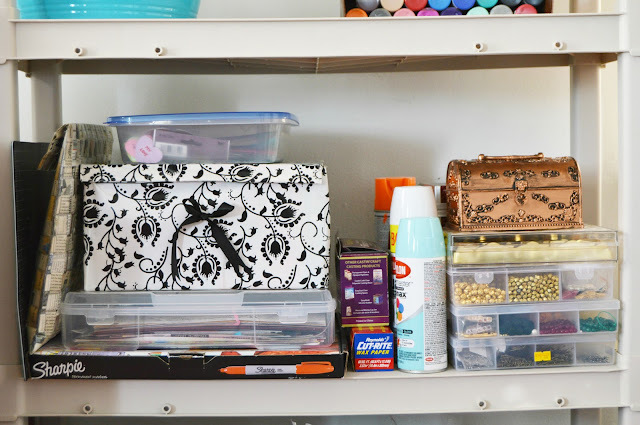 It looks like a great space to work, and you're so organized! Thank you for being such a great co-host at the #HomeMattersParty with me. 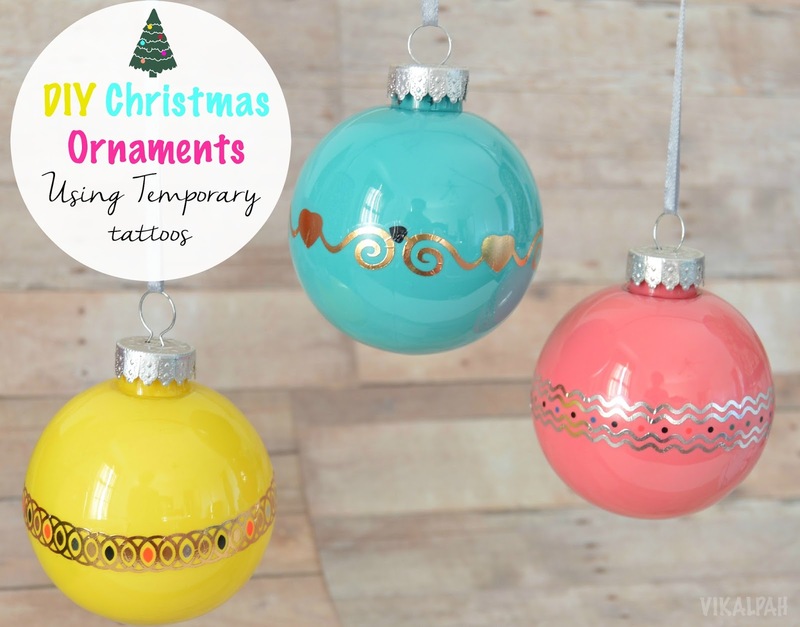 Hope you will join us and Linkup, in progress!! Great job! I'm hoping to get mine done this fall so I can start the new year fresh! Found you via the Totally Terrific Tuesday link party! Have a great week! God morning it was it was so nice seeing you in the pictures. I love your Craft Space and you did a nice job with the space you have. I have a actual office but it ends up with items from other part of the house in it. So right now it is stacked to the ceiling. 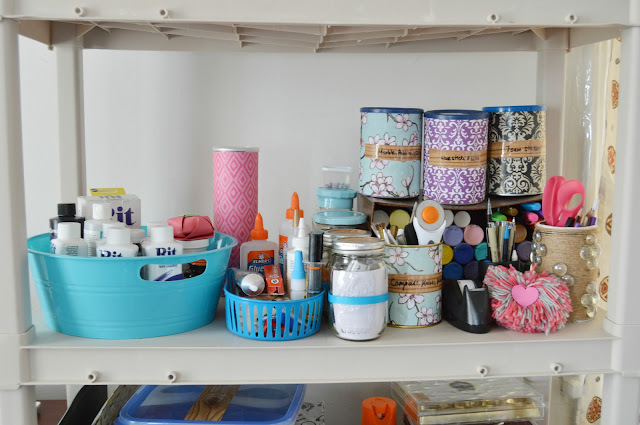 I love how organized and big your space is! Thanks for sharing at the Inspiration Spotlight party. Shared. What an awesome work space you have created for yourself. Everything labeled and orderly. Very lovely! Visiting from Beautifully Creative Inspired Link Party. Everything is so organized! I really like your Do More of What Makes You Happy sign. Thanks for sharing at Submarine Sunday! I hope you'll stop by again soon! Great space...live in a small house and we need lots of areas to do double and triple duty, too.